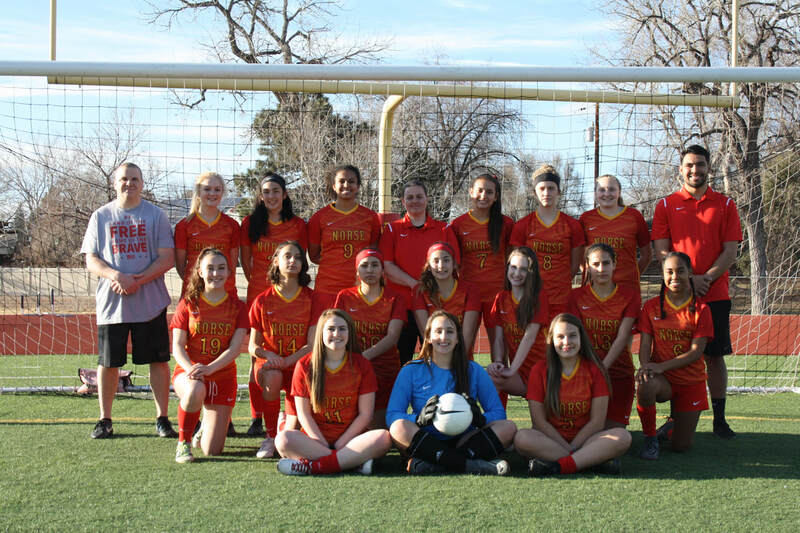 Northglenn High School Girls Soccer is one of many wonderful sports programs available at NHS. Our soccer program strives for each student athlete to not only be successful on the field, but in the classroom and within the community. 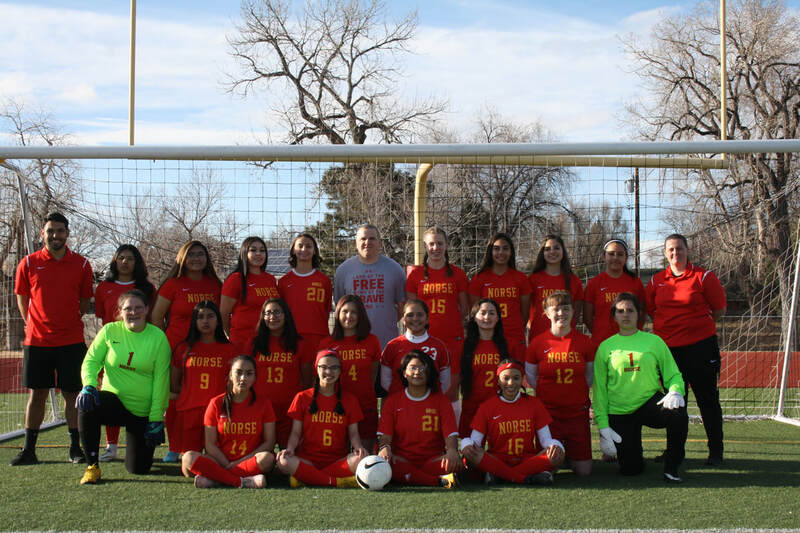 Soccer at Northglenn is an embodiment of hard work, determination, dedication, and all players are encouraged to be leaders within the school and community. Our main goal is to push each player to be their best on and off of the field! 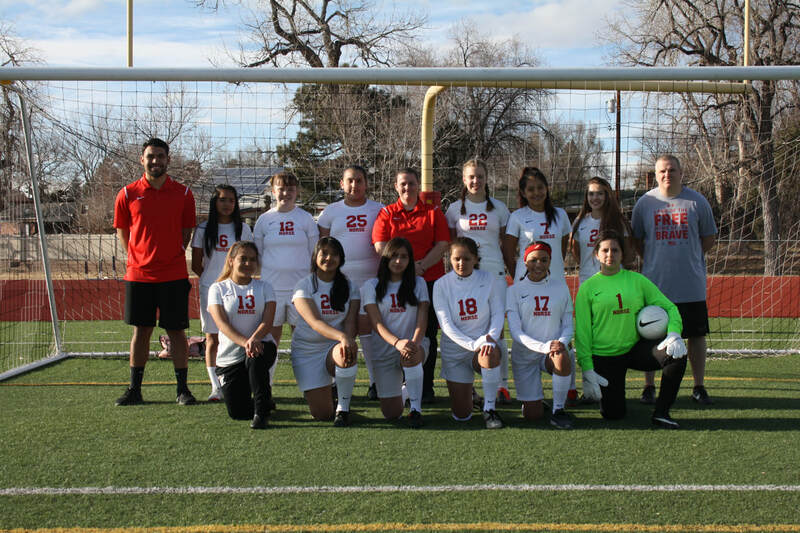 The girls' soccer camp begins this Monday 2/11/19 and wanted to make sure that you all have the information for the next two weeks. Remember that camp is optional though I strongly encourage all girls to come and participate so that you can get in the extra conditioning and ball work prior to official practice and tryouts on 2/25/19. Official practice is Monday February 25th, 2019. You will need to have your sports physical and registration turned into our Athletic Secretary Mrs. Beamer by Friday February 22nd in order to participate in the first official practice. I will be handing out athletic packets Monday so the you girls and parents can fill out and turn in as soon as possible. If you qualify for free or reduced lunch and have not registered with the school, please go to www.myschoolapps.com (available in English and Spanish). If you don't have access to the online system, paper applications are available in the Main Office. If there is a problem registering and you need assistance, please talk to me so we can communicate this to Mrs. Beamer and we can get this resolved. Also, below is the tentative practice schedule for the upcoming Spring 2019 season. We will also update the season schedule once it is finalized. If you have any questions, please do not hesitate to contact Coach Churchill at Kristina.churchill@adams12.org. Practice Schedule times for the Spring 2019 season, if a team does not have a game and other levels do the practice times will remain the same. If bad weather and we cannot use the field we will be inside the big gym starting at 4:00pm and will go until 5:45/6pm. So please remember to always bring clothes for both cold weather and inside playing. It is also the season for getting sick, so please do not come to practice if you are sick, go home and feel better!